This scatter cushion will add a wonderful sense of luxury to a room. In a dark grey velvet fabric, just perfect for a living room, bedroom or boudoir. Perfect for adding a comfy look to your decor. 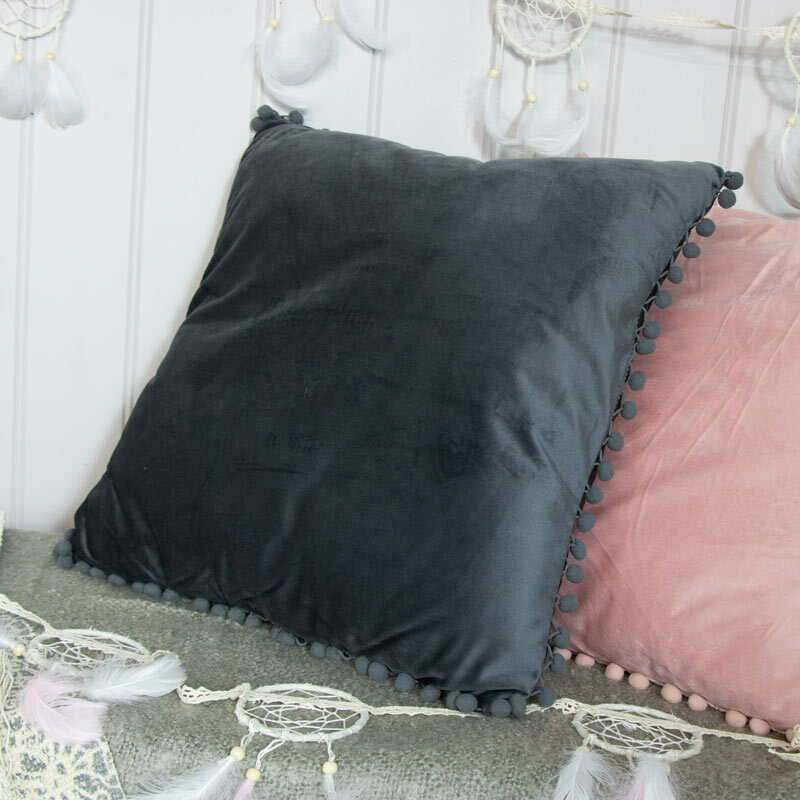 The cushion comes with little pompoms decorating the outer edge of the cushion. A great addition ro our range of soft furnishings with even more cushions available in a great choice of colours, sizes and styles. This scatter cushion will add a wonderful sense of luxury to a room. In a dark grey velvet fabric, just perfect for a living room, bedroom or boudoir. Perfect for adding a comfy look to your decor. 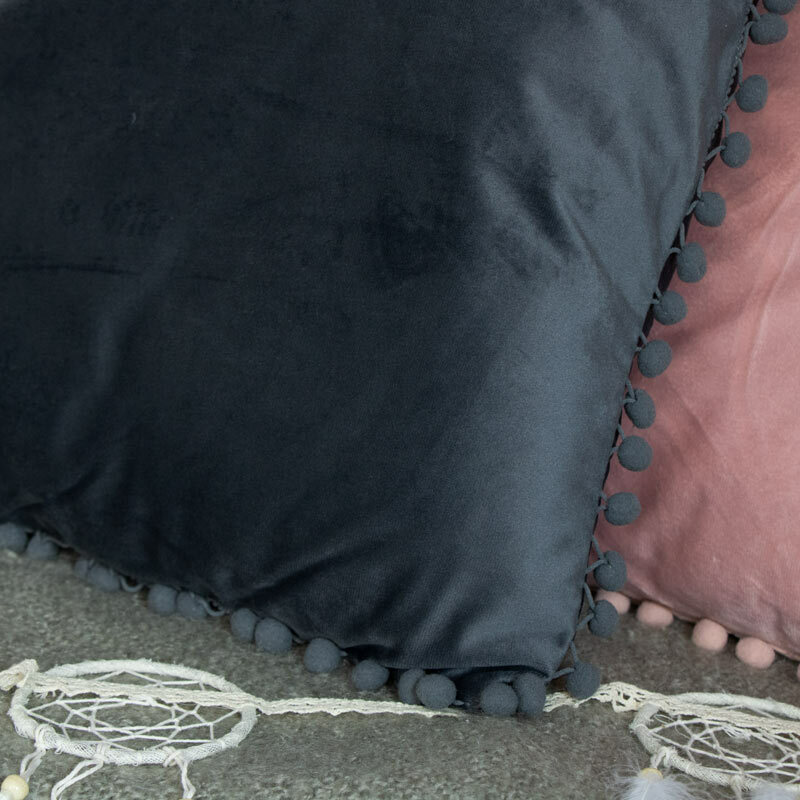 The cushion comes with little pompoms decorating the outer edge of the cushion. A great addition ro our range of soft furnishings with even more cushions available in a great choice of colours, sizes and styles. Made from 100% polyester in a blush pink colour. Zip fastener with inner supplied. A great addition to our range of cushions and soft furnishings. Affordable home comforts that help to make a house a home.